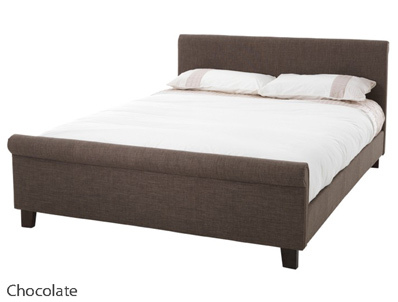 Currently the Chocolate Colour is Discontinued so is Reduced to Clear all other colours are not reduced . 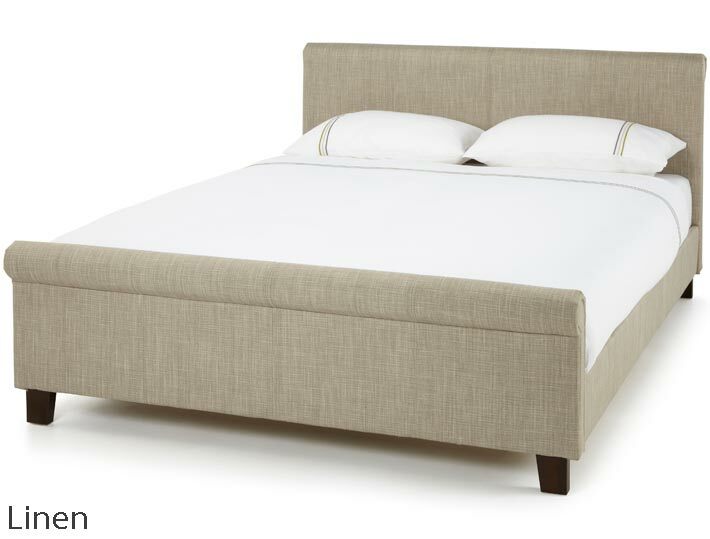 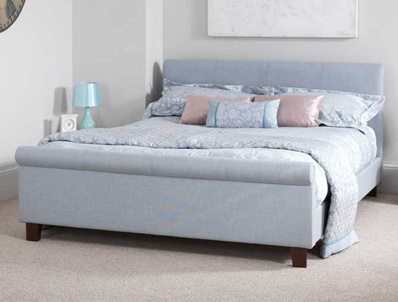 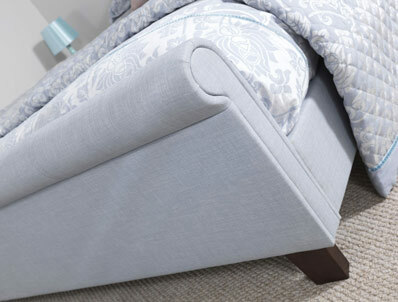 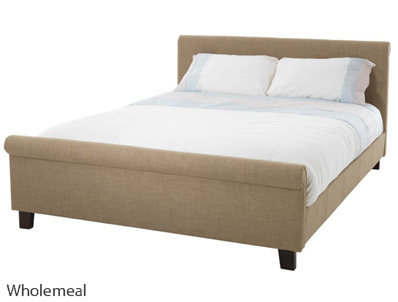 The Serene Hazel is a stunning looking low end sleigh bed frame. 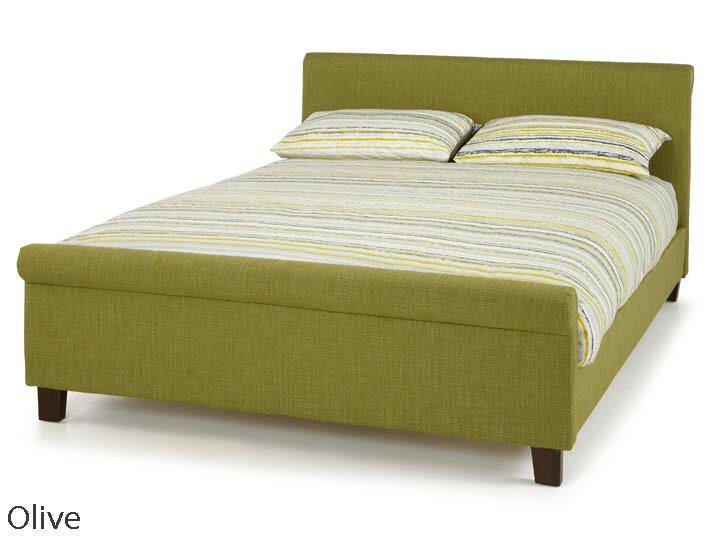 It’s clean lines and rolled headboard and footboard offer a contemporary style. 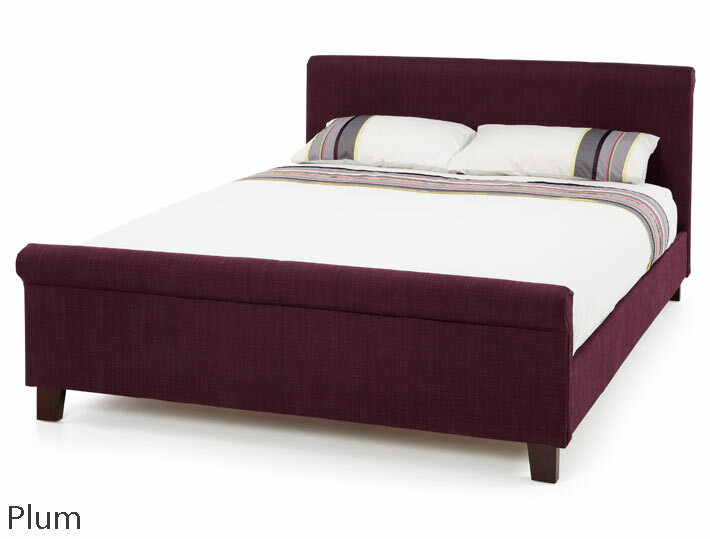 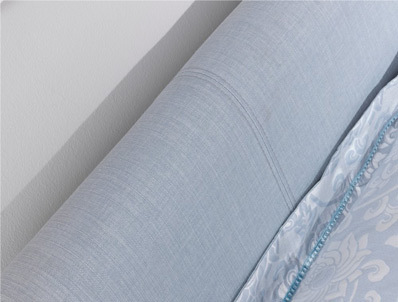 The Hazel bed frame ifor 2015 is now offered in 6 colourways the original 3 colours of ice, chocolate and wholemeal , but with 3 new colourways Linen, Olive and Plum which are available from mid march . 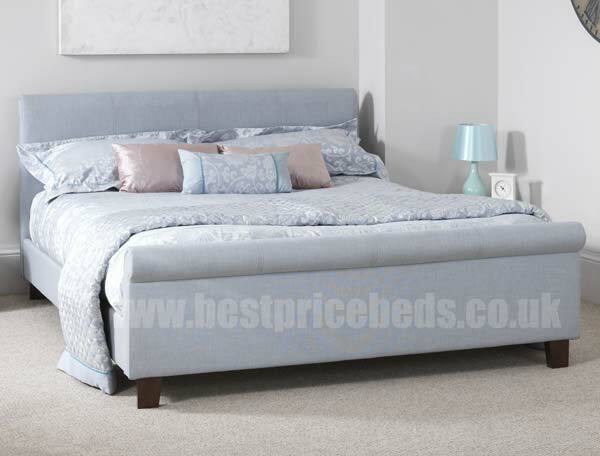 Each frame comes flat packed with a slatted base and is available in small double, double ,king and super king size.